The Medical Establishment takes a “silver bullet” approach to health, isolating a particular biological process and “aiming” at it with a synthetic chemical. They then apply this to supplements, prescribing a single mineral, calcium, to help “treat” osteoporosis, along with prescription drugs. 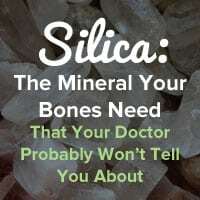 Of course, the Establishment’s approach fails on many levels, and today we’re going to delve into this as we explore silica, a mineral that is vital for strong and healthy bones…yet chances are your doctor will never mention it. You’ll also learn how to get more of this important mineral. As it relates to supplements, the Medical Establishment ignores the issue of synergy and continues to prescribe large doses of a single mineral, typically calcium – and the wrong kind of calcium, such as calcium carbonate. In addition, the mainstream fails to realize that a calcium deficiency in the bones (and elsewhere) can result from other mineral deficiencies and imbalances. No matter how much calcium you take in these cases, your bones will still be deficient. They require many other minerals to take up calcium, and one of those other minerals is silicon. Before we embark on a discussion of this mineral, I’d like to clarify these two terms. Silicon and silica are often used interchangeably, but there is a difference: silica is the oxide form of silicon, meaning silica has an oxygen molecule attached via covalent bonding. It actually has an abundance of sulfur-oxygen bonds in its natural state. Silica is therefore often called silicon dioxide, which then gets shortened to silicon – hence the confusion. Silica occurs in great abundance in the earth’s crust. In contrast, silicon is a single atom, not a molecule, and rarely exists in nature in its pure form. It’s nearly always in the form of silica, and that’s the form of this mineral we’re going to discuss today. Silica is found not only in the earth’s crust, but also in the human body. It’s present in nearly all body tissue, including bone. Silica levels tend to decrease as we age, yet it’s most important in the senior years because it prevents the decalcification of bones associated with age. It also prevents deterioration of connective tissue like collagen, which is vital for bones’ tensile strength. 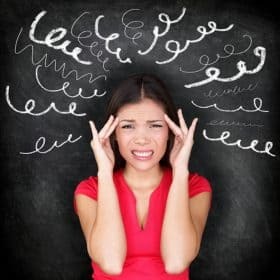 Too little silica can bring about calcification of connective and soft tissue, causing stiffness and loss of elasticity. Considered symptoms of aging, these issues may well be symptoms of silica deficiency. Hair, skin, and fingernail health is enhanced by silica as well. There are many delicious foods that are full of silica, and many of them are Foundation Foods listed in the Osteoporosis Reversal Program. Here are some particularly good sources of this mineral. As you can see, when you’re following the Program, you’re getting plenty of bone-healthy silica, and you should aim to get at least 10 mg per day. To give you an example, a medium-sized banana contains about 6 mg of silica, and a carrot contains about 1.5 mg.
It’s important to remember that just because we’re highlighting the virtues of a particular mineral, it does not mean you should run out and ingest massive amounts of it by itself. This is why the Osteoporosis Reversal Program recommends complete supplementation with Foundation Supplements, as well as eating a variety of nutrient-rich foods, such as Foundation Foods, because they contain many different components that all work in synergy with each other for maximum benefits. Silica plays a significant role to build bone and maintain its integrity and strength. 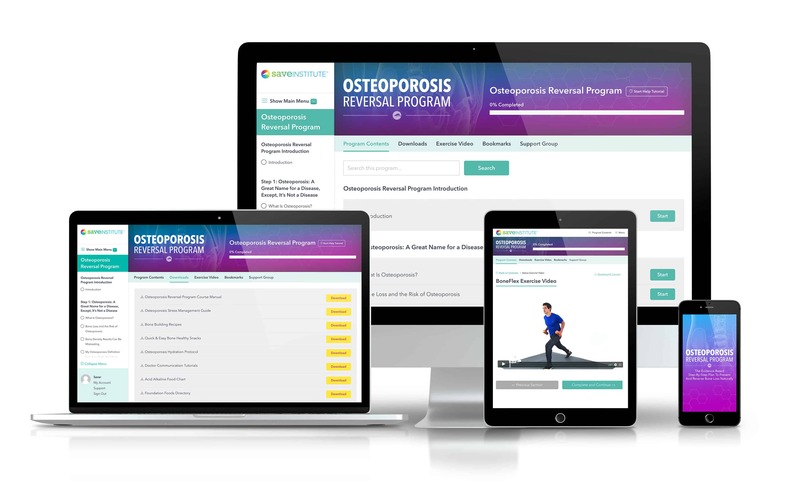 Clearly, your bones need more than just calcium to rejuvenate and grow strong, and the Osteoporosis Reversal Program has always recognized this. 1 Jugdaohsingh R et al. “Dietary silicon intake is positively associated with bone mineral density in men and premenopausal women of the Framingham Offspring cohort.” Journal of Bone Mineral Research.19(2):297-307. (2004). 3 Balch JF, M.D, Balch PA, C.N.C. “Prescription For Nutritional Healing”. Avery Publishing. 4th Printing Edition. 1990. I am on 70% 300mg Bamboo Silica capsules, 1x day. I have had tremendous results from SEVERE PAIN (age 79). 2 bad knees up for sugary, 2 stenosis spinal issues, small area of gout. The capsules are WORKING! My question is that the seller only promotes the 70% for skin-hair-nails, not mentioning bones…WHY? So am I on the right stuff? I cannot believe my recovery! I was down for 8 months last winter, using ice, heat, patches, a walker, a cane — and now am back to NORMAL. I totally believe in SILICA BAMBOO giving it all the credit. But am I wrong? Is there a better capsule or is a powder better, with same results or should I just shut up and keep doing what I’m doing? Is 1x a day enough? Also taking for me and hubby to keep away from calcification, but also on K2/D3. Silicon is an element that does not occur alone in nature. It most commonly occurs combined with oxygen as silicon dioxide (silica) mostly as the mineral quartz which makes up most beach sand. Quartz is insoluble in water so if you eat sand it will pass straight through and not provide dietary silicon. You state to get 10 mg from food, Recently bought enerex bamboo silica where each capsule 70 mg and they sat to take 4 capsules per day, Is this too much. Also wondering if it would be better to find and take an organic cucumber powder for silica. I am 57 and want to increase bone den. 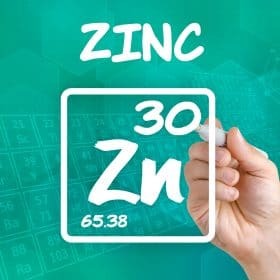 I already take K2, zinc. raw milk kefir and steel oats. Is it safe to take diat. earth log term. Any thoughts on egg shell powder soaked in vinegar. I have calcification on my aorta valve…my doctor is watching…I am 75…female…I have started taking K2 with 5000 D… magnesium and c.
A friend recommended DE to me. 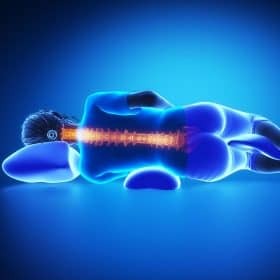 My question is – Is it safe for me to take it as I have moderate to severe stenosis in my spinal cord, with spurs pressing on my spinal cord.? In other words would it cause those spurs to grow more rapidly and worsen the pressure on my spinal cord. ACID A CAL 3 capsules with meal 3 times a day and vit k-2 once a day. This will dissolve bone spurs in 1 to 3 months . Bad carbonate calcium causes spurs . This is what disolved my heal spurs in a short time. I love taking living silica. why can’t I take some beach sand and powder it up with a mortar and pestle?? I can’t see buying silica when there’s miles of it a block away. (I feel the same about bottled water) Also, I take calcium and magnesium….thanks for your advice. I’m partial to food grade diatomaceous earth (even over bamboo and horsetail supplements). Look for one that has >0.5% crystalline silica. I mix mine in a little organic apple juice. I haven’t found anyone offering a high quality food grade DE in capsule form, so I’m stuck with putting the powder in water or juice for now. As someone else mentioned, food grade DE also is a known intestinal dewormer. According to research, diatomaceous earth has 85% silica and is a natural de-wormer. I take the food grade. I’m giving this (Save our bones program) to my mom for Christmas. I have been a member of the Save our Bones community for a number of years now and have found great support and encouragement from Vivian’s emails. I went on holiday at the end of September and all emails from Vivian seem to have stopped. I believe the last one I received was on September 28th. I would be very grateful for any help Customer Support can give me. Many thanks. I take Biotin for my hair. It fills in all the little hairs at the forehead. Amazing. JUST WAS WONDERING ABOUT THE USE OF ELECTRIC BLANKETS. ARE THEY HARMFUL AT ALL IN TRYING TO FOLLOW THE ADVICE YOU HAVE GIVEN US. THANK YOU FOR A ANSWER. I have been taking BioSil for years. Vivian, is this the right supplement? It says “Silicon as Choline-Stabilized Orthosilcic Acid, 5 mg and Choline 100 mg.” After reading this, I think I have the wrong supplement. I take a gelatin supplement that contains silicon aminoate. 2 capsules = 20mg. Is that the same as the siiica you are referring to? I had a nasty fall and broke my Femur. Someone told me that Boron is very good for building strong bones. What are your thought on this? What are your thoughts on Bonolive? A new supplement extracted from olives that increases bone density. Just wondering. By the way, a very interesting article on the difference between silicon and silica. Thank you for clearing up the confusion. You’re most welcome for the clarification! I have an over abundance of horsetail growing in my garden, I spend a lot of time trying to eradicate it. Maybe I should put some in smoothies now! As Julie W says, I will probably have no way of knowing – still, it would at least be free to use. I eat all those foods, and took a silica supplement (horsetail) for three month, hoping it would strengthen my hair. No results in the hair, so I wonder if it helped my bones? I have no way of knowing. 3 months is not long enough to tell. two issues: everything works together so balance is key. That’s why foods work so well. Second is the body usually prioritizes the most important need. So yes hopefully it would fix your bones before it would fix your hair. Health is not a short sprint. It is a lifestyle. How you treat your hair could undo all the health it started with. What shampoo etc…???? Please look only at new growth area at roots to judge any improvement and patiently follow the program. I noticed my hair grows really fast when I take silica. I wonder if silica goes to the arteries instead of your bones like some calciums do!!!! Although I take k2 – mk4 , & k2- MK 7 . That takes the calcium to your bones & teeth instead of the arteries.